Postsurgical vesicovaginal fistulas usually present 7 to 21 days after surgery. Most patients have urinary incontinence or persistent vaginal discharge. If the fistula is very small, leakage may be intermittent, occurring only at maximum bladder capacity or with particular body position. Other signs and symptoms include unexplained fever; hema-turia; recurrent cystitis or pyelonephritis; vaginal, suprapubic, or flank pain; and abnormal urinary stream (11). Office testing is often able to distinguish between fistulas involving the bladder or ureters. Instillation of methylene blue into the bladder stains vaginal swabs or tampons in the presence of vesicovaginal fistula. If this test is not diagnostic, a transurethral Foley catheter should be placed to prevent any staining of the distal tampon from the urethral meatus. Unstained but wet swabs may indicate a ureterovaginal fistula. If leakage is not demonstrated, the bladder is filled to maximum capacity and provocative maneuvers such as valsalva or manual pressure over the bladder used to reproduce and confirm patient's symptoms. Intravenous indigo carmine can be given to rule out ureterovagi-nal fistula. 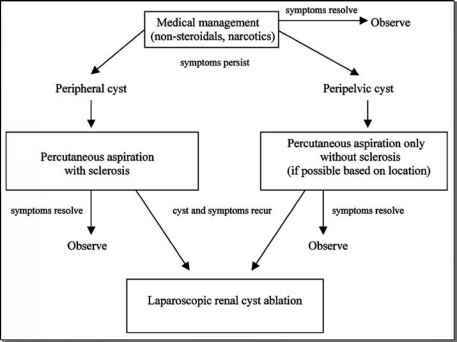 Further evaluations, such as cystoureteroscopy and intravenous urogram permit the physician to localize the fistula, determine adequacy of renal function, and exclude or identify other types of urinary tract injury.